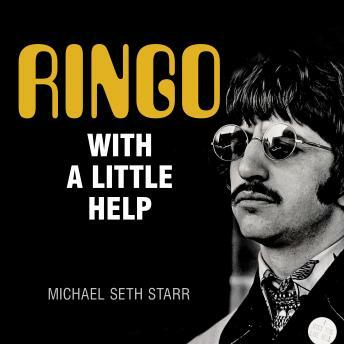 Ringo: With a Little Help is the first in-depth biography of Beatles drummer Ringo Starr, who kept the beat for an entire generation and who remains a rock icon since the Beatles took the world by storm over fifty years ago. This book traces the entire arc of Ringo's remarkable life and career, from his sickly childhood to his life as the world's most famous drummer to his triumphs, addictions, and emotional battles following the breakup of the Beatles. Born in 1940 as Richard Starkey in the Dingle, one of Liverpool's most gritty, rough-and-tumble neighborhoods, he rose from a hardscrabble childhood marked by serious illnesses, long hospital stays, and little schooling to emerge, against all odds, as a locally renowned drummer. Taking the stage name Ringo Starr, his big break with the Beatles rocketed him to the pinnacle of worldwide acclaim in a remarkably short time. He was the last member of the Beatles to join the group but also the most vulnerable, and his post-Beatles career was marked by chart-topping successes, a jet-setting life of excess and alcohol abuse, and, ultimately, his rebirth as one of rock's revered elder statesmen.